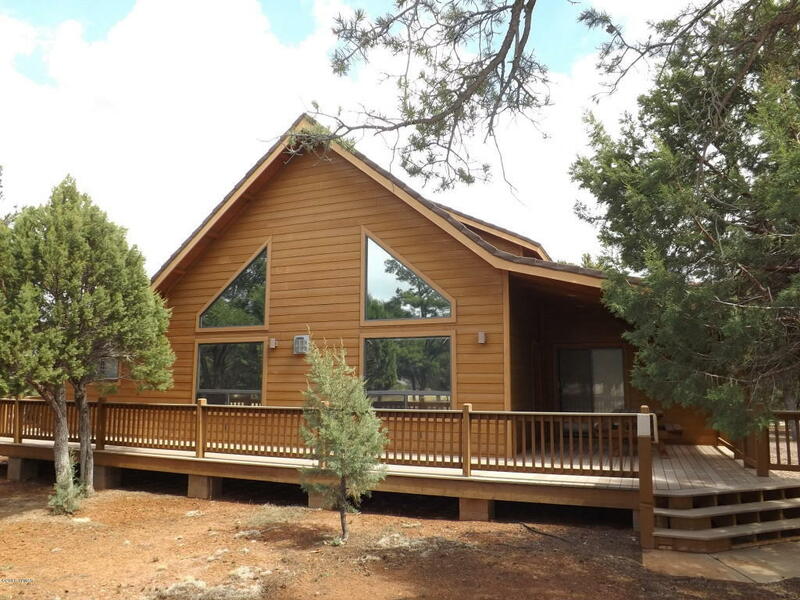 Stunning cabin in the Mogollon Air Park. This 2717 SqFt, 3 BR/2 BA home highlights are a great room design with an elegant stacked stone fireplace and surround sound, beech wood commercial grade laminate, knotty aspen T&G ceiling and accents, gourmet kitchen with an island and engineered stone countertops, oak cabinetry, tiled bathrooms, on demand water heater, large laundry/mudroom with sink, cabinets and closets and a vast loft/ relaxation area. The exterior features hardy board siding, metal roof, large deck w/Trex, and a 500 gl. buried propane tank. The heated and cooled garage is over height and extended length and boasts a large study/den above it. All this on a .90 nicely treed corner lot in a cul-de-sac. For the pilots it also offers a large tie-down pad that backs to the taxi-way.